He shot into the showroom like he'd been launched straight from the corner office by a cannon. His white shirt was crisply starched, his shoes were shined and he reeked of expensive cologne. "I need a table," he said abruptly and somewhat angrily. Nothing fancy. Four legs and a flat surface. Where he could drink his coffee and read the paper. Alone. Two days later, a black Escalade ripped into our parking lot. Out jumped a guy in surgical scrubs, a surgeon, sweaty after hours in the operating room. "I need a chair," he snapped. Something comfortable, he said, but he had to be able to fit it in his car and carry it up three flights of stairs, by himself, to his new and empty apartment. We found him a nice barrel chair at a reasonable price. Now at least he has a spot in which to sip a stiff drink after work. What's going on? Two different guys, same week, same story. They came home from work to find the locks changed and the golf clubs scattered all over the lawn. 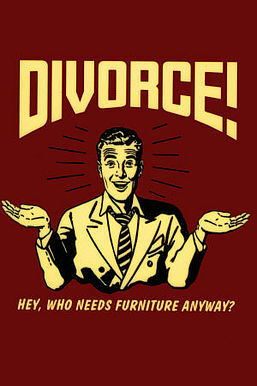 I guess May must be the month for disgruntled wives to really clean house. At least Wife #1 was able to offer one small act of mercy to the schmuck in the driveway. "Where do I go?" he asked his wife as he stuffed his belongings into the trunk of the car. "I don't care," she yelled out the window. "Get an apartment." Shocked, he stammered, "But I don't even have a bed - or a table." There was a moment of silence then she apparently took pity on him, he told us. 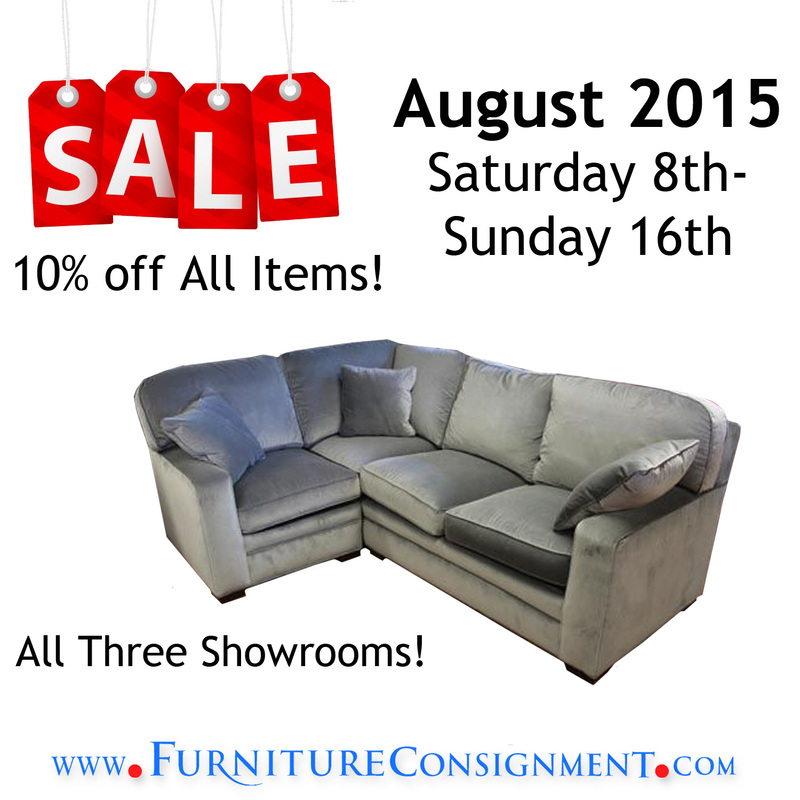 "Go to Furniture Consignment Gallery," she shouted then she slammed the window shut. "Look at the detail!" one of our regular customers exclaimed stopping short right in front of a newly arrived item, an Eldred Wheeler Collector's Edition Bonnet Top Secretary. No wonder. 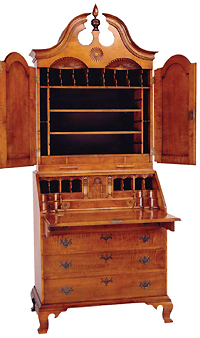 With 12 small drawers, 14 secret drawers, and exquisite fan carvings, the secretary is an extraordinary example of the art of woodworking. What caught her eye, though, were the two small and delicate shelves of wood that slid smoothly out from beneath the cabinet doors. "What are these?" "Those are the candle slides," Ron, our showroom manager and furniture expert, explained. "Before electricity, you would need a candle near to provide light for your work." The Eldred Wheeler piece is a reproduction, but it tells a lot about the way of life in Massachusetts in the 1700s. Woodworkers spent days - even weeks - on the fan carvings and details. Hidden drawers and subtle pigeonholes were a secret delight for the owner. Which got me thinking. In last week's blog, I killed off Queen Anne, declaring that once-popular furniture style now out-of-date. Pieces as exquisite as the Eldred Wheeler are rare - and so expensive that few but the most ardent collector can afford them. So what's next for the rest of us? We are at a crossroads. We're taller and fatter. 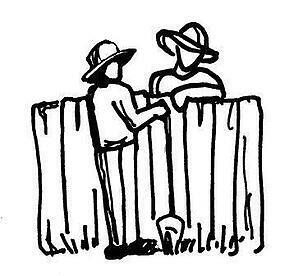 We aren't farmers and small-town laborers like they were in the 1700s. We roam the planet like hunter-gatherers now. 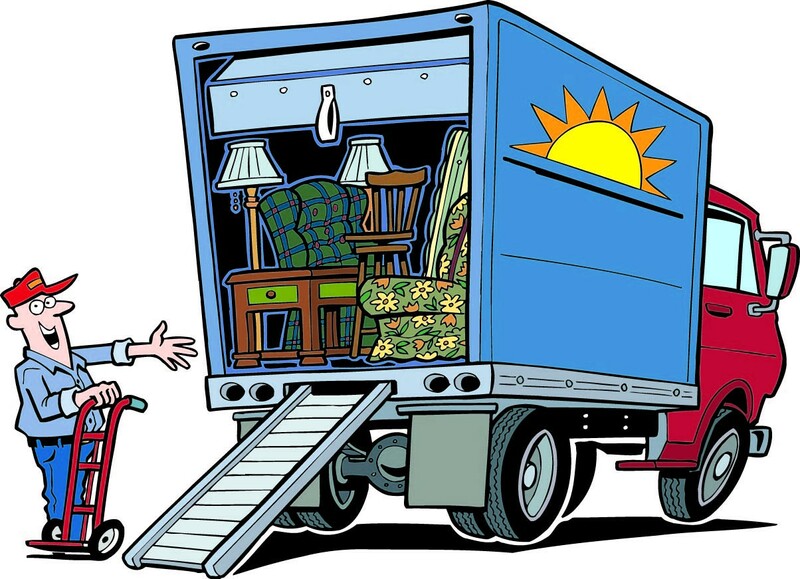 We shed belongings - and buy more - with every move. We like quality but we won't pay for it. What does that mean for furniture? Are we happy to live on chunks of foam wrapped in polyester? Has furniture become the new Dixie cup: disposable? Are we still willing to pay for quality, detail, character and art? What do you think? 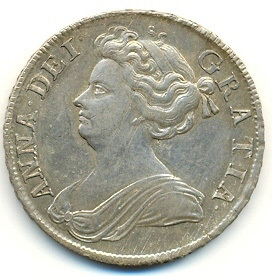 Until her death in 1714, Queen Anne ruled Great Britain for a dozen years. Hers was a short but dismal reign. She suffered from gout, watery eyes, multiple miscarriages and morbid obesity. She was an unlovely woman - who nonetheless gave her name to a very lovely style of furniture. Ironically, the Queen Anne style is all about sleek legs and delicate curves - quite unlike the corpulent monarch with the legendary appetite. For three centuries, her furniture enjoyed a modest and enduring popularity. Then for some reason, in the 1980s, Queen Anne furniture became the style statement of a generation of baby boomers. Every leading American furniture-maker filled its showrooms with glossy tables made of cherry wood perched on shapely cabriolet legs. For a decade, Queen Anne ruled the roost. Walk into any four-bedroom colonial in an upscale community and you would find a predictable scene: Queen Anne tables, chairs, desks, lowboys, breakfronts and highboys, some decorated with shells and others with acanthus leaves. Fast forward to 2014, and the furniture with the can-can legs has lost its appeal. The Queen is dead - for at least the next century. That's what our customers are telling us. The few pieces we have taken on consignment in the last year typically spend a few lonely weeks, ignored, on the showroom floor before we return them to their owners. Still, some people are loyal royalists. One woman called us last week asking if we would take fifty pieces of furniture she'd bought in 1986. The stuff was in pristine condition. Protected from the sun, the flame-stitched cushions hadn't faded a bit. No ding or dent married those cabriolet legs. But I had to tell her the Queen wouldn't be lying in state at FCG. She was crushed at the news. I have strong opinions – and so does my wife, Diana. When we disagree, the staff runs for cover. After nearly ten years of running a business together, we’re pretty good at verbal sparring. Our arguments can be intense, animated and loud. (Hey, I’m Italian!) At the end of the day, though, we always remember Rule #1: Don’t take the business home. One topic is sparking debate – and we haven’t resolved it yet. Does staging help sell a home? 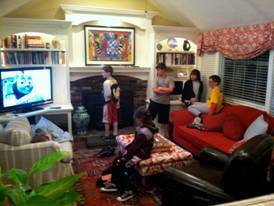 Staging is the art of editing and arranging furniture and eliminating clutter to make a house more appealing to buyers. 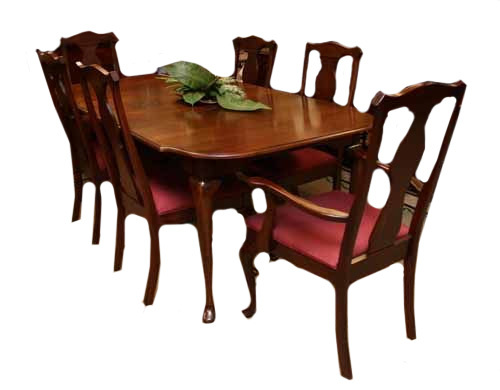 Professional stagers buy or rent furniture and accessories such as art to enhance a home. Many of Boston’s top stagers are customers of FCG. I think reducing clutter allows buyers to visualize how they would live in your home. I think buyers find clutter distracting, cementing the idea that it’s your home – not theirs. I think that bright, neutral paint and lots of lighting make a house more appealing to potential buyers – even if they are privately planning to paint the dining room a deep shade of eggplant later. I think less is more. Scaling down the furniture makes a house look bigger, in my view, giving buyers the impression they are getting more house for their buck. I think it is important to put those antiques in storage and update the furniture because most buyers, especially younger ones buying a starter home, want a more modern look. Clutter is irrelevant. She believes potential buyers are capable of seeing beyond the framed kids’ art and the hockey gear and imagining themselves in a home. 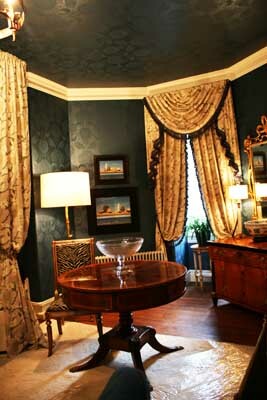 She says buyers can imagine a room emptied of its weary-looking wing chairs and filled with their own chic furniture. In fact, she believes, pandering to some imagined buyer’s style preference is a waste of time, money and energy. Staging is fake – and hard on sellers. She insists that buyers’ decisions about which house to buy are based more on complex issues such as the size and layout of a house, the neighborhood, the yard, the town, and the school system. You can’t gussy those up with staging. So what do you think of our great debate? You can flee – like our staffers – or you can jump in and let us know. Take our survey about staging and we’ll post the results for you in a couple of days.